Christopher Guerrera is the CEO and founder of PACE Systems with National recognition. PACE was started in 2014 and has grown to national scales in record time. PACE is now one of the most sought-after company in the US, leading the way to growth and profitability. Chris and his well known PACE systems have enjoyed national exposure as guest speaker at the Massachusetts Institute of Technology, MIT discussing Power Networking and Shark Tank. 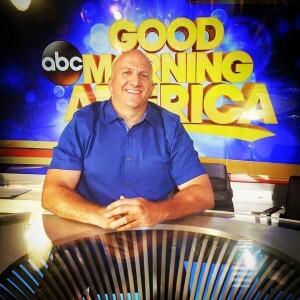 He has been featured on Good Morning America 4X including Shark Tank and was the MC of the Shark Tank panel for the MAKE48 competition hosted by the Smithsonian Lemelson Center in Washington DC. 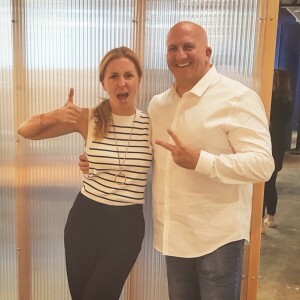 He has products displayed at trade shows over the USA alongside such household name products as Scrub Daddy®, Squatty Potty®, Paint Brush Cover®, Drop Stop®, and ReadeRest®, all products that have achieved mass distribution & sales after their appearance on the reality TV series ‘Shark Tank. 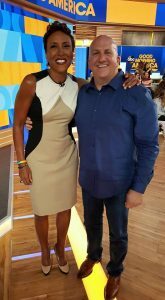 He participated in a Good Morning America National commercial campaign featuring anchors Robin Roberts, George Stephanopoulos, Amy Robach, Ginger Zee, Lara Spencer, Michael Strahan, Jessie Palmer and hip-hop singer Flo-Rida. He was featured on the Kathy Ireland program Modern Living a national syndicated television show and now working closely with Christina Tosi of MasterChef. Chris takes great pride with his ability to network at a national level but has the understanding with how to close a deal and keep his products made in the USA. Chris was an integral part of the 1/8 turn fuel system design and development for Ford Motor Company and is listed on the patent as the Chief Design Engineer for the Ford Taurus vehicle that was first in its class to have such a sophisticated fuel system design that revolutionized the industry. Chris was instrumental in the BMW start-up and success in the United States where he managed the interior group for the BMW Z3 and X5 that has grown to 2.2 billion in sales and employs more than 10,000 people. He was awarded the JD Powers and Associates best in class Quality Award from BMW. Chris is an expert in networking, lean 6 sigma and developing teams to achieve over the top results. If you would like to learn more or schedule a speaking engagement, please send a request to chris@paceimpact.com.